Adviser Investments received the honor at an event in New York City on June 28, 2018, alongside other 2018 FT 300 award winners. The Financial Times assesses and ranks RIAs based on a handful of factors. 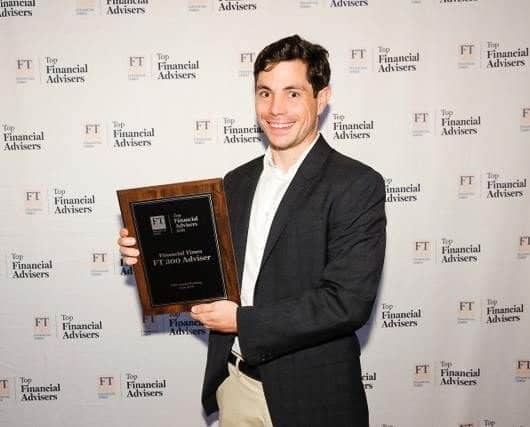 The publication independently produces the FT 300 in conjunction with Ignites Research (a Financial Times subsidiary that offers investment-management-related intelligence services). To make its list, the Financial Times contacted independent RIAs nationwide, screening for two primary criteria: A minimum of $300 million in assets under management (AUM) and at least 25% of firm assets attributable to non-institutional clients. Qualified RIAs then submitted detailed applications, which the Financial Times scored to assess six key factors: AUM, AUM growth rate, years in existence, advanced industry credentials of the firm’s advisers, online accessibility and compliance records. Adviser Investments is an independent, professional wealth management firm with expertise in actively managed mutual funds, ETFs, fixed-income investing, tactical strategies and financial planning. We advise more than 3,500 clients with over $5 billion under our care. Our team focuses on helping individual investors, trusts, foundations and institutions meet their long-term investment goals. Our minimum account size is $350,000. The Financial Times 300 Top Registered Investment Advisers (2018) is an independent listing produced annually by the Financial Times (June 2018). The FT 300 is based on data gathered from RIA firms, regulatory disclosures and the Financial Times’ research. The Financial Times invited over 2,000 firms to be considered for its list; 760 responded. The listing reflects each practice’s performance in six primary areas: Assets under management, asset growth, compliance record, years in existence, credentials and online accessibility. Neither the RIA firms nor their employees pay a fee to The Financial Times in exchange for inclusion in the FT 300. InvestmentNews’ Best Places to Work for Financial Advisers Award (2017) is based on responses to surveys voluntarily completed by participating firms. Firms do not pay a fee to participate. InvestmentNews conducts the survey. InvestmentNews evaluates participating firms’ ability to attract and retain talented employees and then ranks the firms. Visit InvestmentNews for more information. Barron’s Top 100 Independent Advisors (2017) rankings reflect the volume of assets overseen by the advisers and their teams, revenues generated for the firms and the quality of the advisers’ practices, as determined by its editors. Barron’s Top Massachusetts Financial Advisors (2018): The Barron’s rankings consider factors such as assets under management, revenue produced for the firm, regulatory record, quality of practice and philanthropic work. Awards referenced herein do not evaluate client experience or investment performance, and are not indicative of future performance.